The Mayo minors bowed out of the minor championship after a very disappointing display against arch rivals Galway in Elvery's MacHale Park in the Connacht quarter final on a scoreline of 3-15 to 0-11. It's a tough one to take on board considering this is the last year of the minor championship as we know it and I can only imagine how devastating it is for the players and management to be eliminated from the championship in April. Another first, I'd imagine, as I don't recall any minor knock-out championship games played in April before. There is a back door in the minor championship in two of the other provinces for first game losers, except in Connacht, which is quite bizarre as you'd imagine it would be the same set of rules governing all the provincial championships. The losers of the Connaught final are the ones that get a second chance. It's a prestigious time for any young player getting a green and red jersey so it's a great shame for them to not have a prolonged summer wearing their county jersey and to get a chance to play before the senior team in a big game. This is Galway’s third victory in a row over Mayo at minor level but the ease at which they were all achieved constitutes a bit of a worry. Mayo should not be losing to Galway by 13 points at any level, no matter how good the Tribesmen are. The last time the teams met in Elvery's MacHale Park Galway had 16 points to spare. With Ballinrobe's and St Colman's prolonged run in the schools championship it left very little time for the management to prepare with a full squad, not ideal preparations at all. Mayo were just about hanging on for dear life towards the end of the first half despite playing with a very stiff breeze but were dealt a double blow just before the half-time whistle as Galway midfielder Daniel Kenny, who was tactically placed on the edge of the square, scored two game-ending goals, leaving Galway ahead at the break by 3-07 to 0-7. There was a slight mismatch in physical size as Mayo corner back Jack Coyne found himself isolated with the much bigger Kenny on a few occasions as he wreaked havoc on the edge of the Mayo square. Only for Mayo keeper Jamie McNicholas, Kenny would have had three first half goals as he pulled off a point blank save early on from Kenny in what was almost a direct replica of the first goal he scored, only for McNicholas to thwart him first time around. Mayo had a big uphill battle in the second half and, although Joe Dawson and Nathan Moran tried hard for Mayo, Galway played in cruise control to see out the game for a comfortable victory. 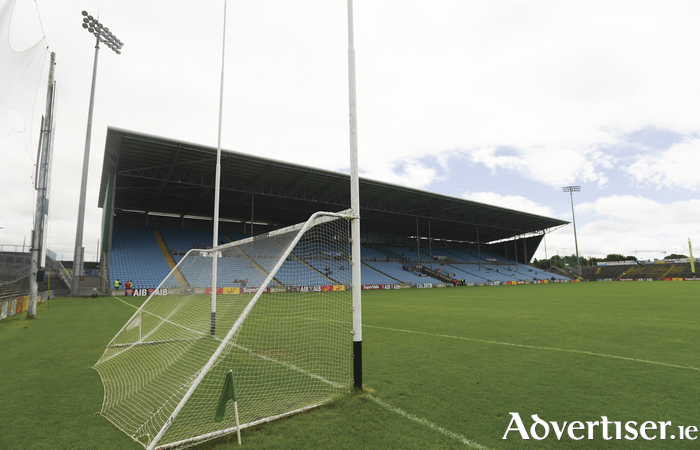 A disappointing end to minor football. Dublin put on a master class display to clinch the last ever All-Ireland u21 crown against many people's favourites, Galway. They got their match-ups spot on and in Eoin Murchan they had the perfect man marker for Galway danger man Michael Daly. Murchan obviously models himself on Philly McMahon in keeping the opponent's main threat on the back foot and chasing him rather than the other way around. Brian Howard at midfield also had a stormer for the Dubs. He is from Raheny, the same club as Ciaran Whelan and Brian Fenton. They don't half produce good mid-fielders in Raheny. Dublin also brought on Darren Gavin at midfield who had a major part to play in the destiny of the cup, ironically he is the son of former Galway player Fergal Gavin who I would have played against quite a few times. As I mentioned before a lot of these Dublin u21s would be senior stars in most other counties. Their conveyor belt has certainly not stopped producing some fine talent. The rest of us beware. Mayo will find out their championship opponents on Sunday as Sligo travel to New York to take on the home side, Mayo's Tom Cunniffe looking likely to line out for New York. I can't see the Yeats county having any problem in Gaelic Park despite many feeling there could be an upset. I'm sure Stephen Rochford will be waiting anxiously by his phone on Saturday evening and Sunday afternoon to hear that his players have come through the first round of the club championship unscathed. I have no doubt he'll have eyes at every game with constant updates. Page generated in 0.0703 seconds.